'Personal magick' is that magick used to affect the self; often involving affirmation, self-suggestion, and self-hypnosis. 'Active magick' is outer directed magick (as in PK) used to affect someone or thing, or to bring about an event. 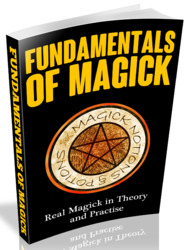 'Passive magick' is to be affected (as in ESP) by an outside non-physical cause. Everyone possesses some magical (and psychic) potential. Some are especially gifted. Usually people are better at one kind of magick (ie. active or passive) than they are at the other kind; only rarely does an individual excell at both. Traning and practice will, of course, improve ability somewhat. Although the forces of magick are neutral, various systems may take on the qualities of good and evil. There is so-called white magick or good magick, black magick or evil magick, and gray magick between them. When many people refer to white magick they mean magick for unselfish purposes, also healing and mental influence with specific permission. By black magick they refer to magick for self-interest and healing *without* specific permission. 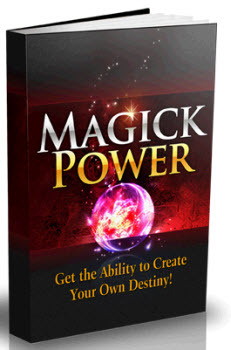 Using magick to forcefully control another's will is, in a sense, black magick too. There are also some people on the occult fringe who claim to be, possibly even think they are, 'Satanists', devil worshipers, or black magicians. These people are most likely charlatans, hoaxters, dablers, or merely misinformed. They may be attracted by the 'art' of black magick, or even by the 'glamor' of doing something against the 'rules'. But a real black magician is very dangerous. Because he has dedicated his life to evil. We usually think of 'white magick' as having *unselfish intent*, and (in the extreme case) of 'black magick' as being actual Satan worship, human or animal sacrifice, dangerous unconventional magical practices, and other bizarre stuff as makes a nightmare. It is all a matter of degree. Most mild self-interest magick (one of the most common kinds) would be called 'gray'. Better terms may be *constructive magick* as being beneficial; and *aversive magick* as magick intended to work against the natural order, and to tear down. There is also the *high magick* of spiritual alchemy (ie. spiritual growth), also known as 'the Great Work'; and conversely there is 'low magick' which is concerned with materiality. Any magick act is likely to produce side effects regardless of whether or not the desired result is achieved. Such side effects are no problem for constructive magick, since they are benificial as well. However, aversive magick can produce aversive side effects which may even harm the magician -- aversive magick is dangerous!